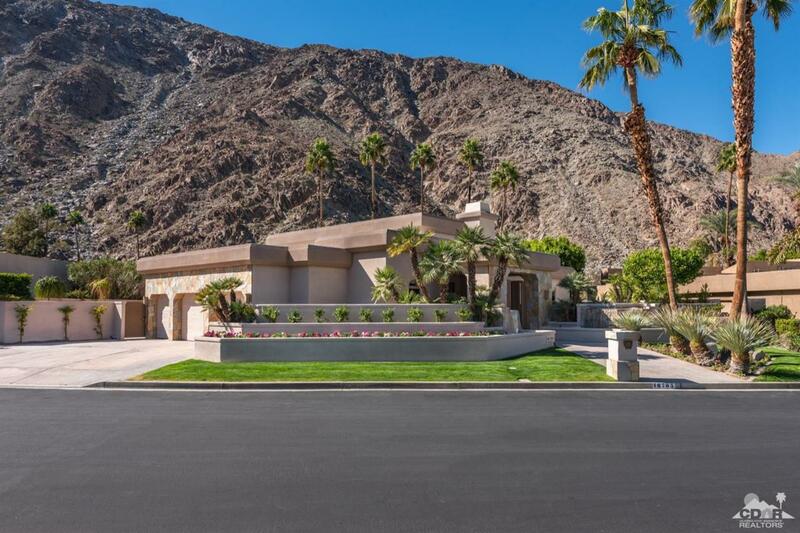 Newly remodeled and furnished custom home located on IWCC Cove Course,south facing Mountain and sweeping 13th Fairway views! No HOA fees!Lush landscaping,4588 Sq.Ft. of Interior living,3 spacious bedrooms,3.5 baths,3 fireplaces, modern Gourmet Kitchen, open pool / game room,several outdoor patios,beautiful infinity pool and spa with majestic Views,makes for great desert entertaining!High ceilings throughout,travertine floors, new carpets in bedrooms and Great Room. Fabulous views from huge Master Bedroom Retreat with marble fireplace and separate lounge area. Master Bath has dual custom closets,marble counters and jet spa.Ensuite Guest Baths; one Guest Bedroom with fireplace and spacious, private newly pavered patio with awesome mountain views.Great Room with gorgeous stone stack fireplace,wood paneled ceiling,and large wet bar,granite counters,ice maker and bar refrigerator.Open Gourmet Kitchen complete with wine storage room,black granite countertops informal dining & fabulous views! Listing provided courtesy of Robert M Ross of Grand Luxury Properties.